Life 101 includes lessons such as how to change a tire and basic grown-up etiquette. WINDHAM — There’s no doubt about it: adulting can be hard. But thanks to a new course offered at Windham High School this year, students can get a jump-start on certain life skills that may come in handy in the real world. 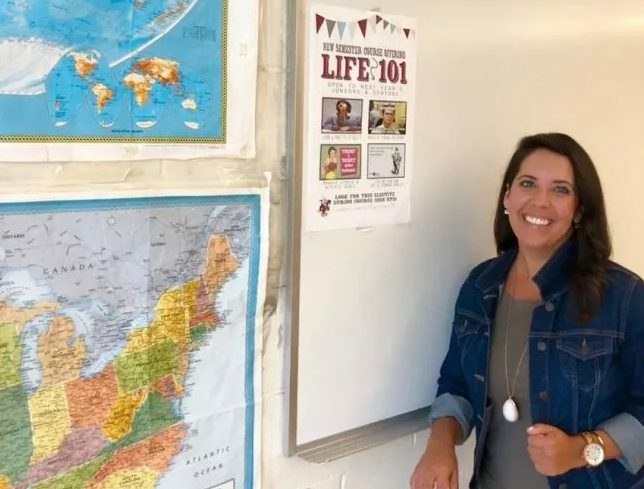 Starting this fall, social studies teacher Kelly-Anne Rush will teach Life 101, an elective for juniors and seniors. Students will be taught “adulting skills” such as basic etiquette, how to change a tire, the do’s and don’ts of interviewing for a job, how to put together a resume, and more. “The goal is certainly going to be to bring in a lot of experts from the community,” Rush said. The idea for Life 101 came from a similar one-week unit that Rush and a colleague taught when she was at Lake Region High School in Naples. Rush, 37, is in her sixth year at Windham High after teaching for eight years at Lake Region. She has a bachelor’s degree in secondary education from the University of Maine and a master’s from the University of New England.